A beach theme is an appropriate focus in San Diego interior design. 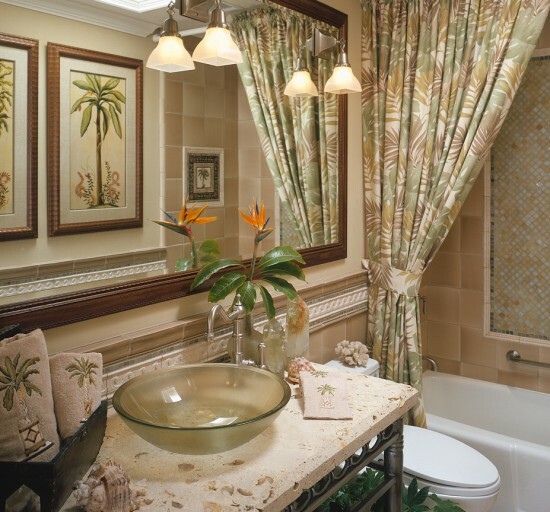 In this award-winning guest bath, a shell stone top vanity with an iron base is equipped with an amber glass bowl and satin nickel faucet. 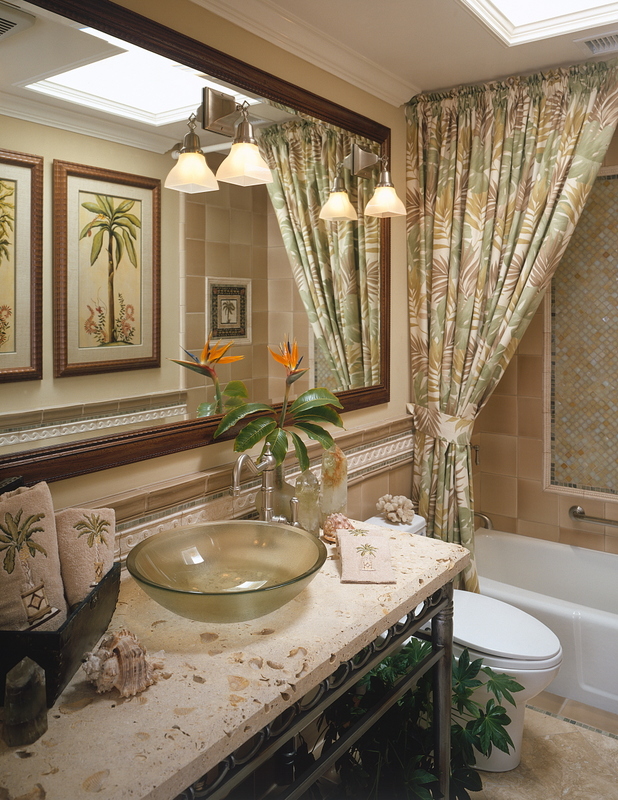 Satin-nickel pendants are mounted on an oversized mirror that reflects tropical palm prints, one of which swings open as a linen cabinet. "For clients who asked for an intimate bath retreat for guests, interior design James Patrick Walters created a space that evokes San Diego's upscale beach communities."